White Water Group is proud to help listed companies achieve success at all stages of transactions using cutting edge psychological approaches with teams and individuals. 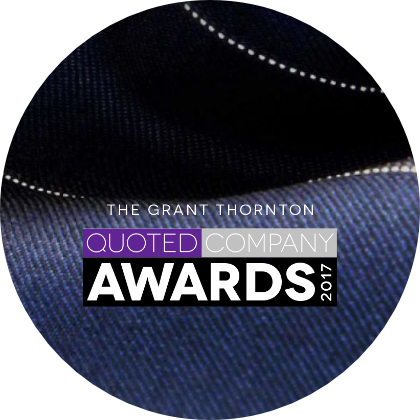 We are delighted to sponsor the Grant Thornton Quoted Company Awards once again. At each stage we ensure that the team remains confident, motivated and focused on delivering business results. Good leaders are not derailed by ‘deal fever’ and know how to manage the emotions stemming from rumours and uncertainty. They’re also good at building a high performing team quickly after a transaction. If you would like to discuss your needs in confidence, please contact François Moscovici at info@whitewatergroup.eu or on 020 7036 8899.